Washington, DC - Americans for Peace Now (APN) strongly condemns the launch of a rocket from the Gaza Strip at central Israel. 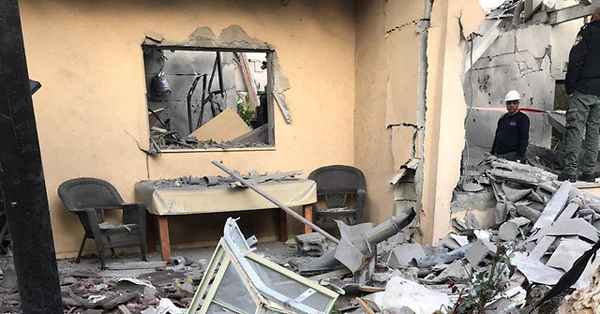 The rocket hit a house in Moshav Mishmeret, near Kfar Sava, injuring seven people, including two infants, and destroying a home. We wish them a fast and full recovery. 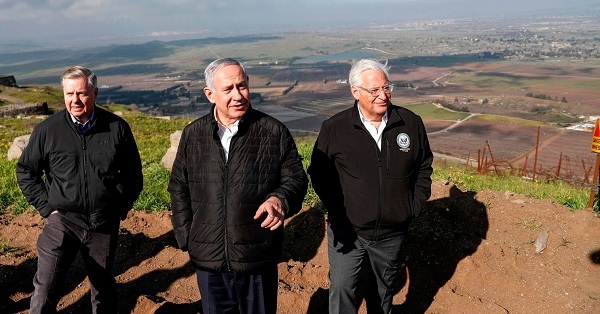 Americans for Peace Now (APN) strongly condemns President Trump’s Twitter declaration that “it is time for the United States to fully recognize Israel’s Sovereignty over the Golan Heights.” We resolutely oppose a change in US policy – consistent across consecutive administrations, Republican and Democratic – that would recognize Israel’s annexation of the Golan Heights. Such a revolutionary policy shift would hurt prospects for peace between Israel and the Palestinians, and harm Israel’s chances for peace with Arab states. This step, as a result, would negatively impact Israel’s national security. It would also severely harm America’s moral standing and national security interests. 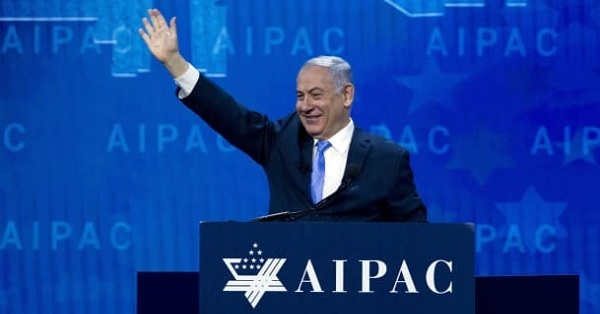 Americans for Peace Now (APN) calls on the American Israel Public Affairs Committee (AIPAC) to condemn Prime Minister Benjamin Netanyahu for his alliance with a racist ultra-nationalist Israeli party, and to disinvite him from its annual policy conference. 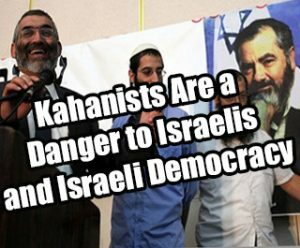 In response to the firestorm that has erupted over Prime Minister Netanyahu’s brokering a deal designed to bring Kahanists into the Knesset, AIPAC on Friday issued a tepid statement. 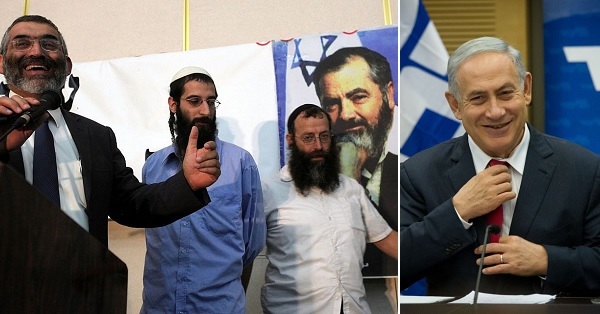 It called the Otzma Yehudit (“Jewish Power”) party “racist and reprehensible.” It failed, however, to say a word about the Prime Minister, who has aligned himself with this Kahanist party and is working to bring it into government. On Saturday, the very next day, AIPAC announced it was “honored” that Benjamin Netanyahu will speak at its policy conference next month, just days before Israel’s general elections. 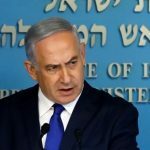 In the wake of Prime Minister Benjamin Netanyahu's brokering of an agreement that will bring the extreme right-wing Otzma Yehudit party into the Knesset, Americans for Peace Now is joining with fellow Jewish organizations to call on the wider Jewish community to affirm that Kahanists have no place in the Knesset. The multi-organizational statement follows. 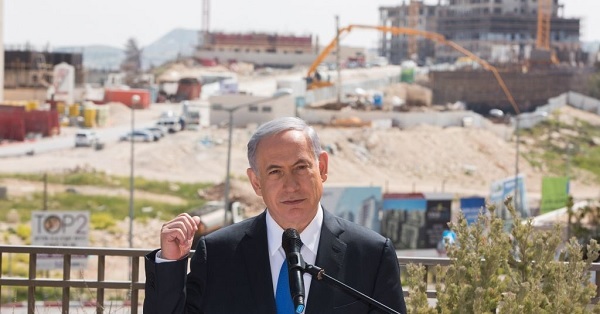 This week, Prime Minister Benjamin Netanyahu, keen to shore up his electoral position, orchestrated the unification of the extreme right-wing party Otzma Yehudit (“Jewish Power”) with the National Union so that it could enter the Knesset in a consolidated right-wing bloc. This is dangerous and deeply concerning. Otzma Yehudit is the latest iteration of a political party based on teachings of racist demagogue Meir Kahane. 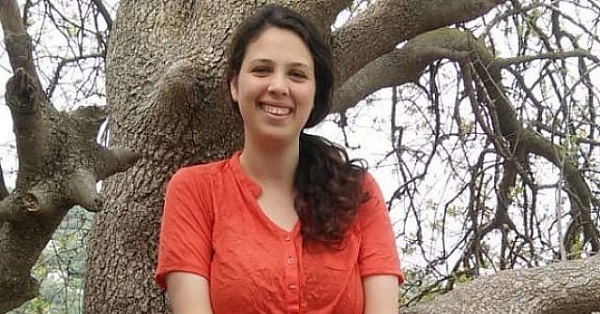 Americans for Peace Now (APN) calls upon fellow American Jewish organizations to join it in condemning Israeli Prime Minister Benjamin Netanyahu's embrace of the extremist right-wing political party Otzma Yehudit ("Jewish Power"). Washington, DC – Following the Senate’s passage today of Senate Bill 1 (S.1), including the so-called Combating BDS Act, the bill will be transmitted to the House of Representatives. APN strongly urges the House not to follow in the footsteps of the Senate. By blocking this legislation, the House will reject attempts to turn Israel into a partisan wedge issue, protect free speech, and highlight the distinction between sovereign Israel and West Bank settlements. APN rejects BDS against Israel. APN believes that as a tactic to challenge Israeli policies that are inconsistent with Israeli-Palestinian peace, BDS is the wrong approach. We view it as misguided, ineffective, and counterproductive. APN advocates boycotting settlement products and recognizes the legitimacy and potential value of other activism directly and narrowly targeted at settlements and the occupation. 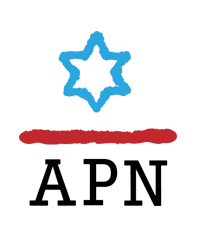 APN’s policy on BDS is here. Despite our opposition to BDS, APN has opposed S.1 since it was introduced, and called on our activists to ask their senators to reject it. As we have stated previously, this legislation was designed to be a political trap. By bundling security aid for Israel with controversial legislation that violates civil liberties, the bill sets up senators to be labeled as “insufficiently pro-Israel” if they refuse to endorse the latter. In order to score political points, this bill will further erode the historic bipartisan consensus around a strong US-Israel relationship. 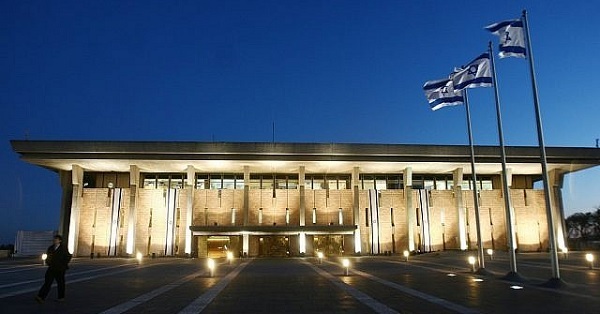 APN’s opposition to the Combating BDS Act is two-fold. First, this legislation erases the distinction between sovereign Israel and its settlements in the occupied West Bank by treating boycotts of the two as if these entities were one and the same. 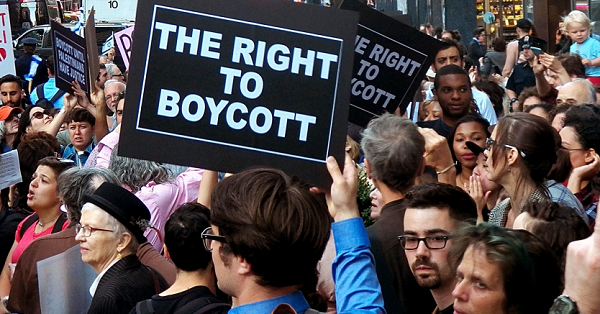 Second, it tramples on First Amendment rights by encouraging states to punish Americans who engage in boycotts. Federal district courts have issued injunctions in cases brought by the ACLU, ruling that laws in Kansas and Arizona violate the constitutionally protected right to boycott. 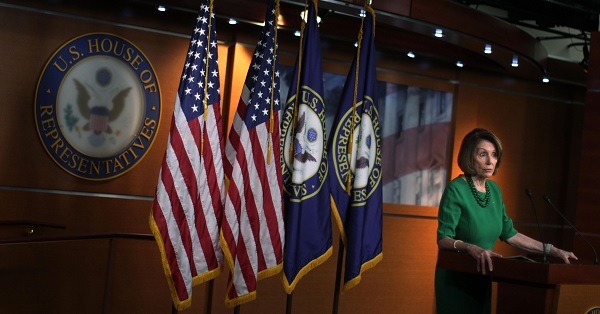 APN calls on Speaker Nancy Pelosi to advance legislation authorizing security assistance for Israel, without tethering it to legislation that is both anti-peace and anti-democratic. (UPDATE: As of January 15, Senate Majority Leader McConnell has tried to advance S.1, the bill that includes the so-called "Combating BDS Act," three times. Each time, McConnell's motions have failed to clear the 60-vote hurdle to advance, thanks to the vast majority of the Democratic caucus voting against cloture. And each time, immediately after his cloture motions have failed, McConnell has filed for a subsequent vote, in the apparent belief that putting Democratic senators on record voting against advancing S.1 will enable Republicans to paint the Democratic party as insufficiently "pro-Israel." Americans for Peace Now (APN) opposes any bill that encourages state and local governments to adopt legislation which penalizes citizens who boycott Israel and/or Israeli settlements. The Senate’s first piece of legislation in the 116th session, dubbed S.1, does just that. Referred to as the “Middle East Security Bill” by its sponsor, Senator Marco Rubio, S.1 incorporates the Combating BDS Act of 2019 into a larger bill that would appropriate security funds for Israel and reauthorize defense cooperation between the US and Jordan.